Although I drink smoothies less in the colder months, I still love one every now and again. 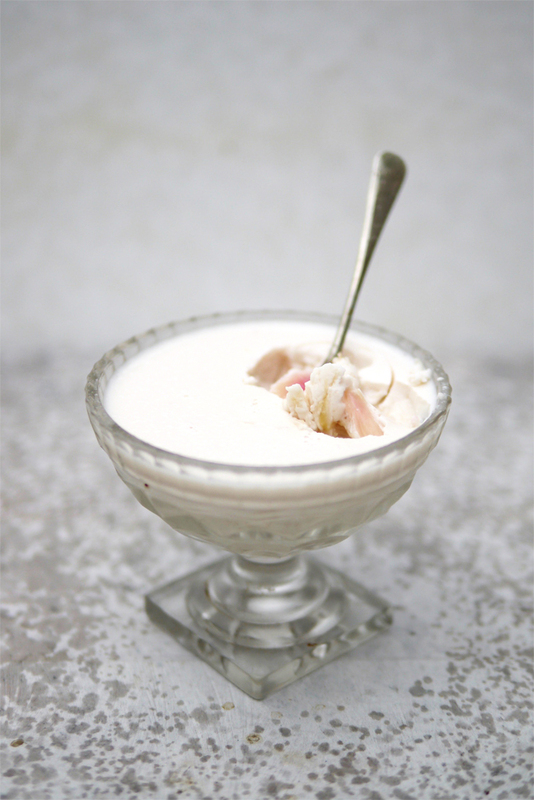 This one makes a creamy and comforting change from the peppy ones whizzed up in the Summer. Plus, it contains Kefir so is totally loved by your gut. TOP TIP: 'chew' your smoothie, don't guzzle it down. This gives your mouth a chance to begin the digestive process via the digestive enzymes in your saliva, meaning your gut won't get a shock when it’s presented with a load of smoothie! -Blend all ingredients together until completely smooth. -Sprinkle some hemp seeds on top and enjoy! 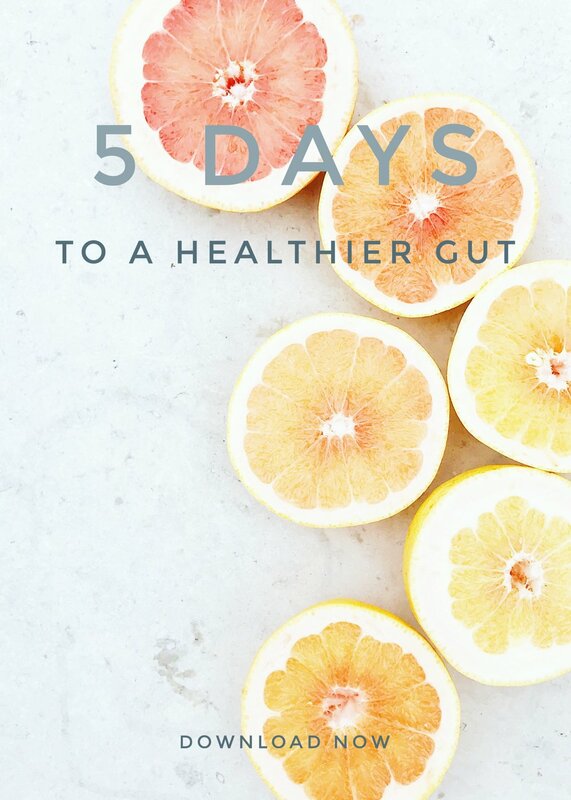 This is the perfect gut loving recipe to make this summer. Make the most of the season and decorate with the colourful flowers and fruits available. Take your time over it and enjoy the process; your gut will thank you for it! Rhubarb season is one of my favourites. As soon as I see the brightly coloured pink sticks on the shelves, I know spring is on its way. It's also one of the most interesting Kefir flavourings; I take such pleasure in watching the colour change from bright pink to blush as the season progresses and we move from forced rhubarb to non-forced. This recipe makes the most of the delicious vegetable (yes, it's a vegetable!) 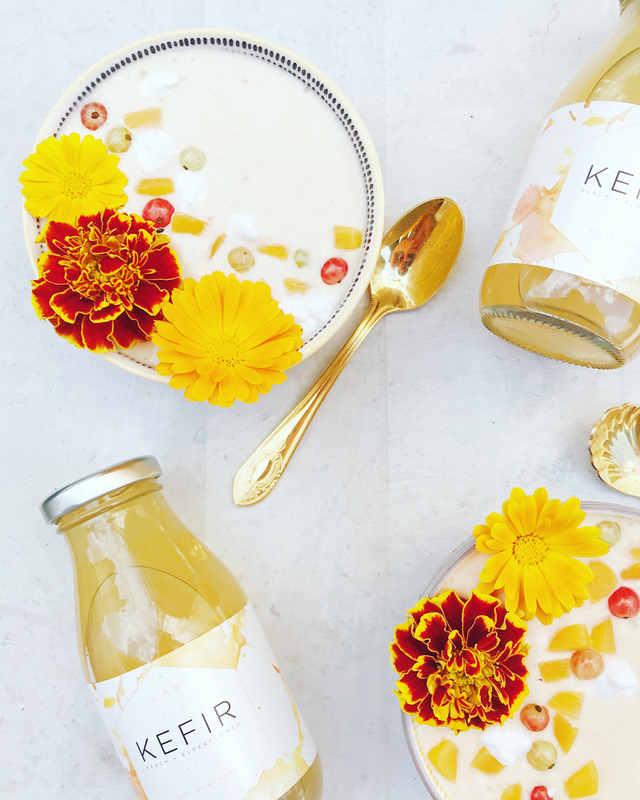 Adding the kefir to the cooled coconut cream means you'll still benefit from the probiotics. Gelatin and coconut cream are also really soothing for the intestinal wall, so this fool really couldn't be any better for your gut! - Trim and chop the rhubarb into 1-inch pieces. Place in a saucepan with a dash of water, pop a lid on and cook over a medium heat for approx. 10 minutes, or until the rhubarb is soft and is just about holding it’s form. - Heat the coconut cream in a saucepan over a medium heat until it’s very gently simmering before removing from the heat. - Bloom the gelatin by mixing it with enough water so that it has a consistency of apple sauce. Allow to sit for a minute or two. - Allow the coconut cream to cool until it’s a little over warm to the touch before adding the raw honey, rhubarb, Kefir and rosewater if you are using it. Stir gently to combine (and dissolve the honey). - Pour into small bowls or small sundae glasses and refrigerate for 1 - 1.15hrs, until just set. Any longer than this and it will become more jelly like. If you have to leave it longer and it does become more of a jelly, remove it from the fridge 30-45mins before serving to loosen up again. This smoothie is a nutritional powerhouse waiting to happen. It has not one but SIX skin loving ingredients and a hefty dose of probiotics to get your day off to a flying start.